What is Cloud-to-Cloud Data Backup? “Cloud-to-Cloud Data Backup” is designed for businesses who need an extra layer of protection to their files stored on DriveHQ cloud servers. DriveHQ offers very strong data protection by default. However, data loss can still happen in certain cases, e.g. : an employee accidentally or maliciously deleted your files and purged them from the Recycle Bin; a computer virus infected your computer and modified all your files; an employee or virus renamed or moved thousands of files/folders such that you cannot locate your files even though the physical data is not changed. Cloud-to-cloud backup is more important for organizations that have completely migrated to the cloud. Most IT professionals are familiar with “local data backup”, where data on a server is backed up to an external drive or a tape. In case of disk crashes, data can be restored from the backup media. Cloud-to-cloud backup is simply a cloud version of “local data backup”. (2) Folder-to-folder backup: back up a cloud folder to another cloud folder on DriveHQ. 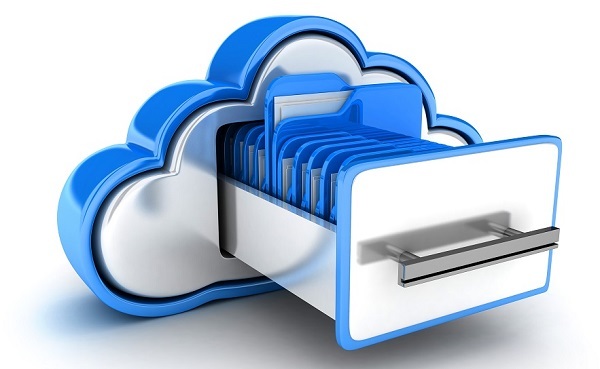 Multiple cloud-to-cloud backup tasks can be created to backup your cloud data. Business customers can create a sub-user purely for cloud-to-cloud backups. The sub-user must be allocated with enough space to house the backup data. Cloud-to-Cloud backup tasks run on our backend system; they are not dependent on users’ computers. Each task will run once per day automatically. New and modified files are automatically backed up each day to the destination cloud folder; files deleted from the source folder will not be deleted from the destination folder. In case of accidental file deletion or malicious file deletion, you can easily restore data from the backup user account. Cloud-to-Cloud Backup can be combined with “Reverse Backup” to provide the best data protection. How much does Cloud-to-Cloud Backup cost? It's Free! Just make sure you have enough storage space in your account to support the backup task you are creating.